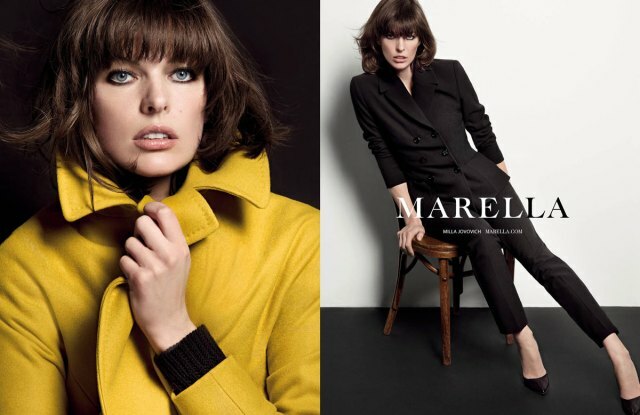 Marella Fall 2013 Campaign featuring a Ukrainian-born American model, actress, musician, and fashion designer Milla Jovovich. Photographers Inez van Lamsweerde and Vinoodh Matadin capture the Ukrainian-American beauty in comfy knits, leather pants and tailored outerwear. New this season is a bag collection designed by Milla in collaboration with Marella. Check out Marella Fall 2013 Campaign With the Behind the scene video.